Quiz Nights are here! First Friday of the month, arrive from 6.30pm for a 7pm start. All new and existing LGBT members welcome! Meets every 1st Friday of the month from 6:30 – 9 pm at the Equity centre. 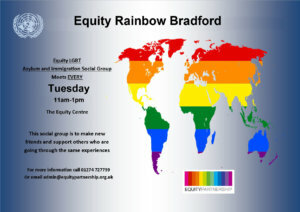 For more information contact admin@equitypartnership.org.uk or call 01274 727759.